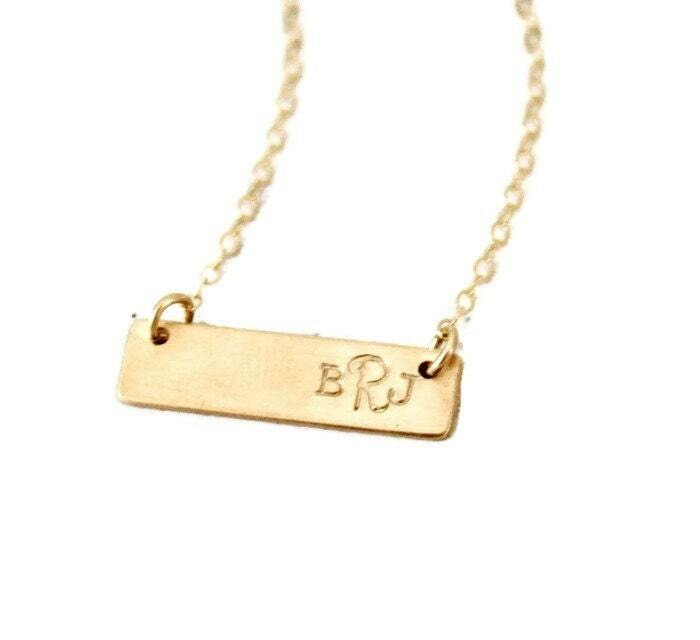 Our Monogram bar necklace is timeless and classic! 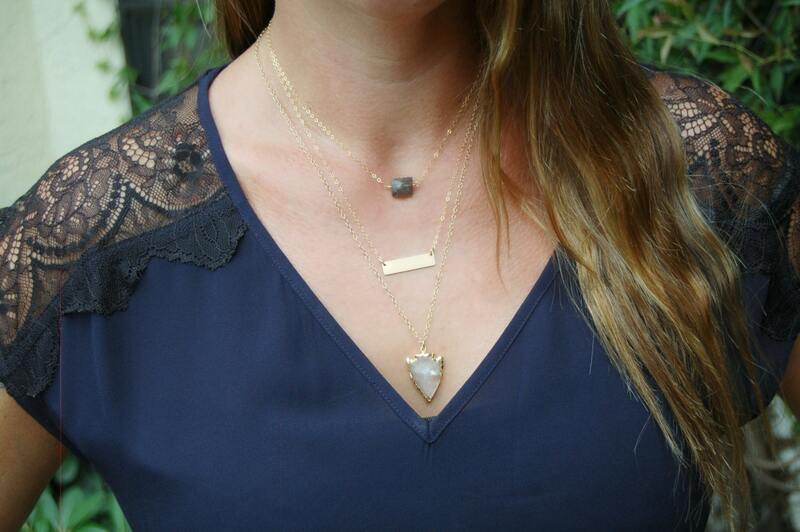 Perfect for everyday wear, it is available in gold, rose rose or silver options. -Upon checkout please type the initials in the order you would like them stamped. The last name is the larger middle letter. 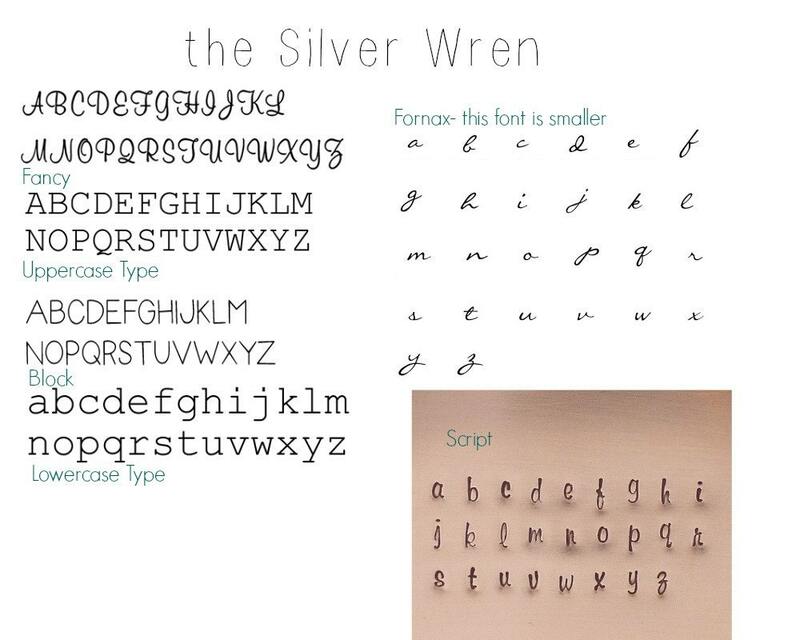 For example ava jane smith would be aSj, font for monograms is just as pictured. 1. The last name is the larger middle letter. 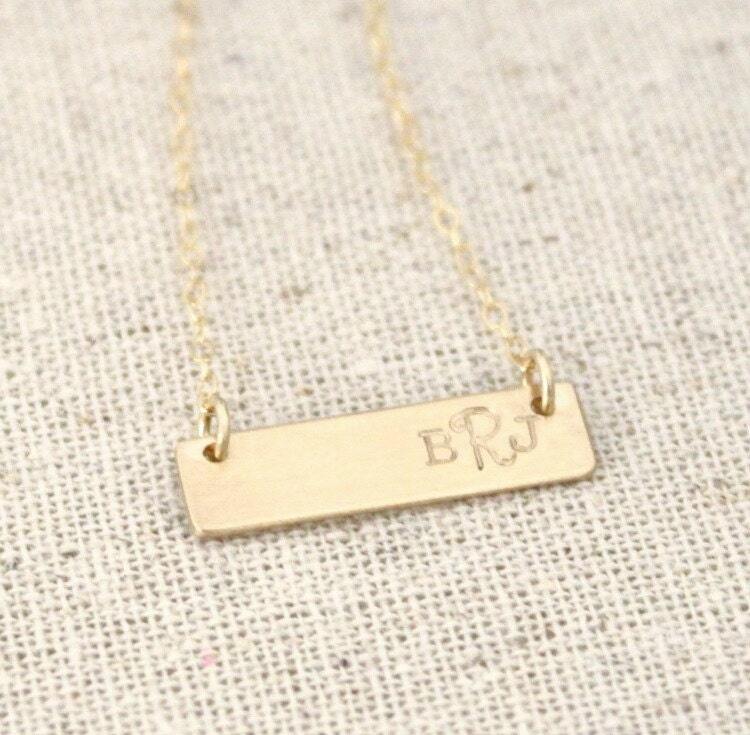 For example ava jane smith would be aSj, font for monograms is just as pictured. Very delicate. My daughter in law loves it! Amazing product! Beautiful! Fast shipping and as described !